Medically developed formula equal to the hydration of an IV Drip. 3x more electrolytes, 6x less sugar, and 6x less calories than competing brands for more effective fluid absorption and no GI distress. Scientifically proven - Independently tested and backed by research. Allows the body to absorb 3x more water than water alone. Organic, non-gmo premium ingredients - no fillers, artificial ingredients, or preservatives. 4 great tasting flavors - a unique feature among electrolyte replacement products. 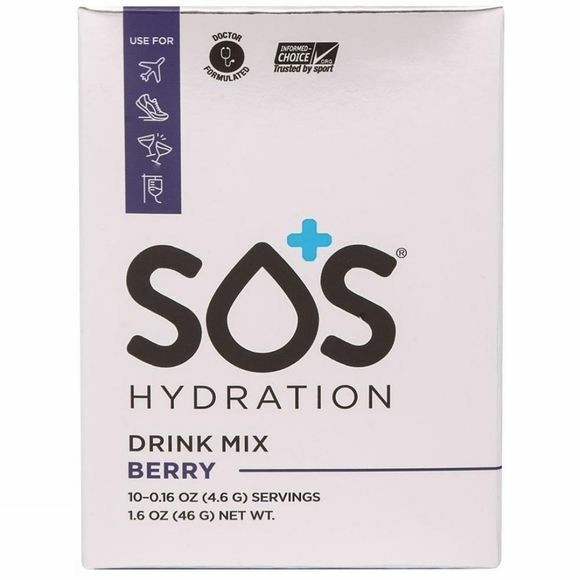 Effective hydration that fits in your pocket and is TSA approved. Use to improve sport performance and/or fight fatigue from work, travel, illness, or partying.